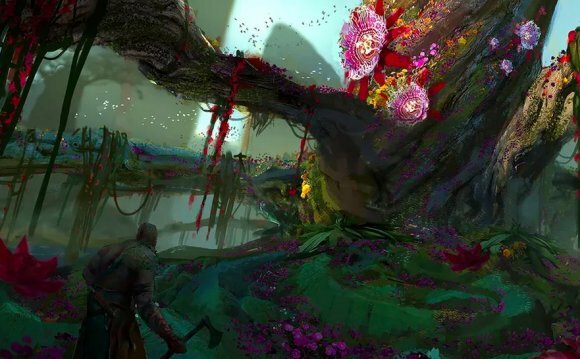 God of War made a big splash at Sony's E3 press conference, where it surprised us with its quieter moments, a change in perspective, and Kratos's fatherhood. Director Cory Barlog joined GameSpot on its live E3 stage show, where he talked about Norse mythology. Barlog talked about how each culture's mythological belief system coexisted with one another and were all "separated by geography." That suggests Kratos likely took a trip from Greece to Norway, where new gods and mythology thrived. However, despite its Norse setting, Barlog notes that Kratos isn't in "the viking era." "It's a fun space to be in because it allows us to paint our own image of Norse mythology as opposed to anyone else's, " Barlog said. "You have a kid and it kind of changes the way you see things and how I approached problems creatively, " Barlog said. "And I thought, 'There's some fascinating potential here for what Kratos would be like if given a second chance.'"